When people think about streaming their favorite video content, Netflix always seems to be one of the first options that people consider. Though there are other means of streaming digital video content such as Hulu, HBO, and other websites, Netflix simply offers more video content at an extremely cheap monthly rate. It’s like having Blockbuster Video (remember them?) pushed through your wireless card or Ethernet cable. There’s just one problem: video sites are among some of the more frequently blocked and geo-restricted websites on the planet. While some of this is due to copyright laws and international regulations that affect Netflix, there are plenty of other reasons to sensor this popular video content provider. Often times public Internet resources such as free Wi-Fi will block streaming video sites in an effort to protect their bandwidth for other users. Video content is one of the most demanding forms of Internet traffic because the video itself eats up a lot of bandwidth depending on the resolution and length of the video you are downloading. Sometimes Internet access that is provided by a hotel or apartment complex will do the same thing to ensure that one user doesn’t hog all of the bandwidth at the expense of others when the Internet speed isn’t incredibly fast. In addition, a lot of other networks such as corporate environments block access to video streaming sites in an effort to promote productivity. Now I’m not suggesting that you disregard your employer’s Internet policies and watch videos when you should be working, but these restrictions are incredibly irritating when you just want to catch up on one of your favorite shows during your down time. The good news is that all of these problems can be solved by using a VPN. A VPN will not only unblock Netflix by acting as a proxy service, but it will also encrypt your traffic so that an ISP, network administrator, or governmental agency won’t be able to see what type of traffic is flowing over their network. In a sense, a VPN tunnel will effectively make them blind to the video content you are downloading so you can watch your favorite shows no matter where you are in the world. But here’s the catch – not all VPN services were created equal and choosing the wrong service could negatively impact your ability to smoothly stream the latest episodes of your favorite shows. Video content needs to buffer well if you have any hope of watching video content that isn’t infuriatingly choppy. Additionally, Netflix is often pressured into blocking VPN services by content rights holders that do not want users to enjoy unrestricted Netflix from any country, even though they wish themselves to be able to provide such an open service. As such, you are going to need one of the top services on the market with fast VPN speeds and servers scattered around the globe to ensure that you can make the best connections that won’t add unreasonably high amounts of latency. Express VPN tops the list because they have all of their bases covered and provide an extremely high performing and reliable service. Some people don’t prefer US-based VPN services due to the American government, but if your main focus is accessing Netflix content, not too many people would care if the government somehow found a way to spy on the latest movie you’re watching. Instead, their main focus is unblocking the website so they can access their video content. Express VPN offers fast speeds that won’t hang up video buffer speeds, tons of servers to avoid capacity issues, and great customer support. Private Internet Access VPN makes the list for the best Netflix VPNs because their service has been proven to be very fast and they allow simultaneous connections on 5 different devices. If Netflix is blocked in your geographical location, you could easily host multiple sessions to Netflix with the same VPN account if you’re waiting at an airport or want to catch up on your latest shows. They also offer you unlimited bandwidth, meaning that they won’t ever throttle your connection to cause your buffer speeds to plummet. But one of the most enticing features of this rock-solid service is the fact that you can get it for only $3.33 per month. TorGuard is based out of Panama and offers some great benefits to those looking for a Netflix VPN solution. First of all, they offer you a 30-day money back guarantee to give you the opportunity to test out their VPN service with Netflix, and their service costs as low as $4.99 per month. Their service is blazing fast and they don’t log your data, so this would be a great choice if you wanted a VPN for more than the sole purpose of accessing Netflix content. Because they offer a lower priced service with high speeds, this option really provides a great value. IPVanish provides a VPN service that is middle-of-the-road in pricing at $6.49 per month, and it is a great service to use with Netflix. They offer connections around the world including North America, South America, Asia, Africa, and Oceania so you have plenty of connection options to hide your IP address. But the two most important features about this VPN provider is their network speeds and their customer support, so you can rest assured that you will have a quality Netflix experience as you buffer your favorite video content. Vypr VPN also works very well with Netflix, and one fantastic feature is the offering of a 3-day free trial – so can actually test it out with Netflix before making a commitment. They are also based in the US with a lot of servers in Texas, and their VPN service can cost as little as $6.99 per month. However, they do state that though they keep some logs, they won’t hand them over to third parties without a subpoena. 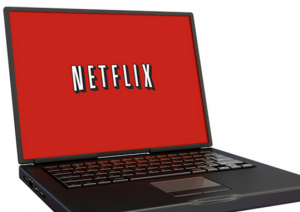 If unblocking Netflix is your primary concern, you likely won’t care about that fact anyway. With their fast network and loads of servers, you won’t have to worry about bottlenecks that would harm your Netflix experience.